« Letter & Spirit: Why 613 Mitzvos for Us and 7 for Them? 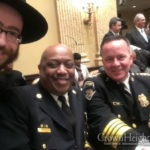 When the Baltimore unrest broke out this week, Jewish Uniformed Service Association of Maryland (JUSA) director and Chabad Rabbi Chesky Tenenbaum went straight to work. 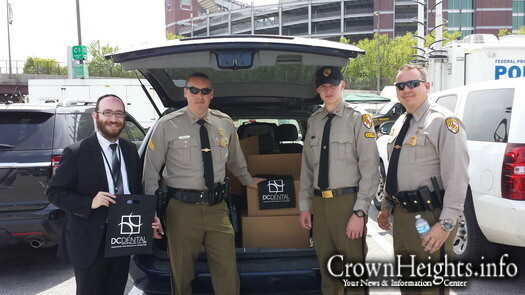 Serving Maryland’s Jewish members in Uniform, he wanted to offer his services and support to all the Law Enforcement members that were being deployed to Baltimore. 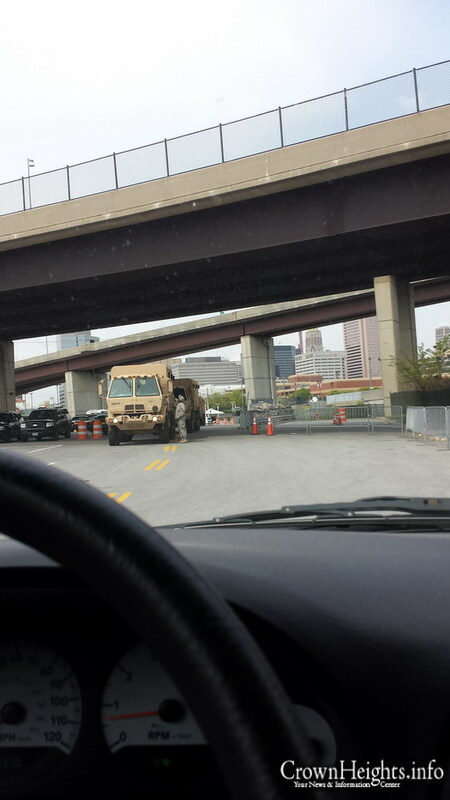 While visiting the Maryland State Police Command post set up at Oriole Park at Camden Yards, he spent time offering moral support to the officers. He then asked one of the command staff what items they needed most; they responded that Law Enforcement members are not getting a chance to go home for 24-48 hours, so most important items needed are hygiene products. 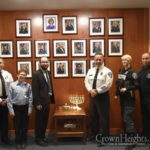 Rabbi Tenenbaum quickly went into action, calling his friend at DC Dental, who quickly agreed to sponsor hundreds of dollars worth of hygiene products. 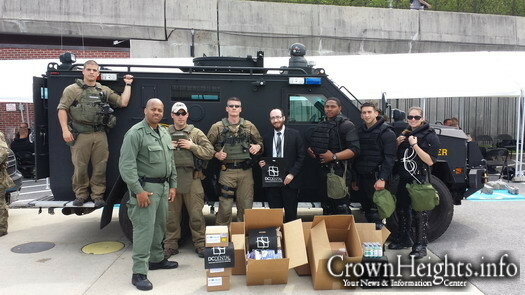 When Rabbi Tenenbaum delivered them to the staging area a couple hours later, the officers were thrilled to get these much needed supplies. 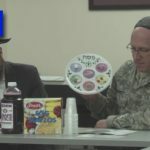 The Jewish Uniformed Service Association of Maryland (JUSA) and its director Chabad Rabbi Chesky Tenenbaum is amazing a great yid i am sure the rebbe is proud!! Go Chesky Tenenbaum. השאלה האים זה רק בשביל לקבל תצלום באתר וכמובן להשתמש במעשה לענין הפרטי ? הרי זה ניראה יותר מבדיחה,לצבא הלאומי של ארצות הברית חסר משחת שניים וניר טואלט….. While a good thing and good work by the Rabbi, it’s not good to publicly take sides while representing Judaism.